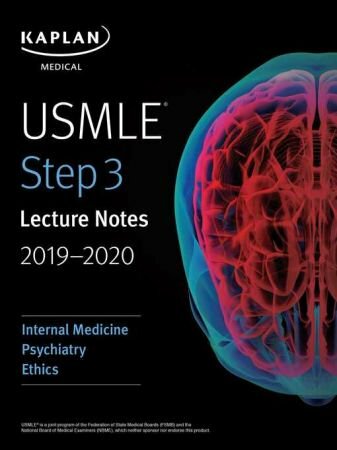 USMLE Step 3 Lecture Notes 2019-2020 Internal Medicine, Psychiatry, Ethics (USMLE Prep) | Free eBooks Download - EBOOKEE! Posted on 2019-02-17, by everest555. The only official Kaplan Lecture Notes for USMLE Step 3 cover the comprehensive information you need to ace the exam. This 2-volume set is the perfect companion for Kaplan's USMLE courses. Up-to-date. Updated biannually by Kaplan's all-star faculty. This updated edition reflects the 2014 test change and includes more foundational medicine and systems-based practice/patient safety. No comments for "USMLE Step 3 Lecture Notes 2019-2020 Internal Medicine, Psychiatry, Ethics (USMLE Prep)".